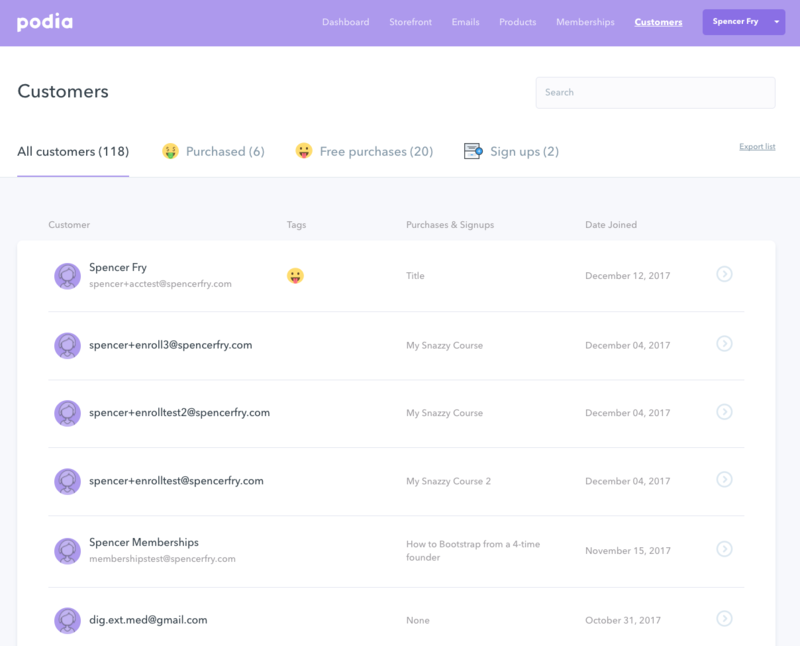 Step 2: You can now see all of your customers in alphabetical order. You can also use the search bar at the top to look for a specific customer by name or email address. To see a specific customer's information, click on his/her name.